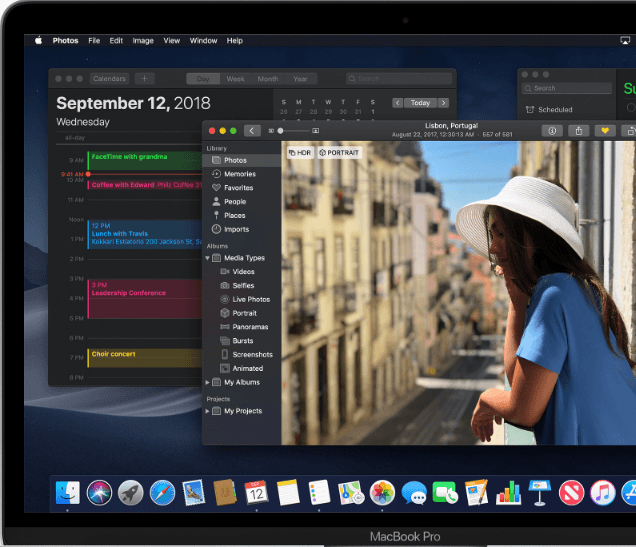 Apple has released the latest beta version of its upcoming macOS Mojave 10.14.1 update. 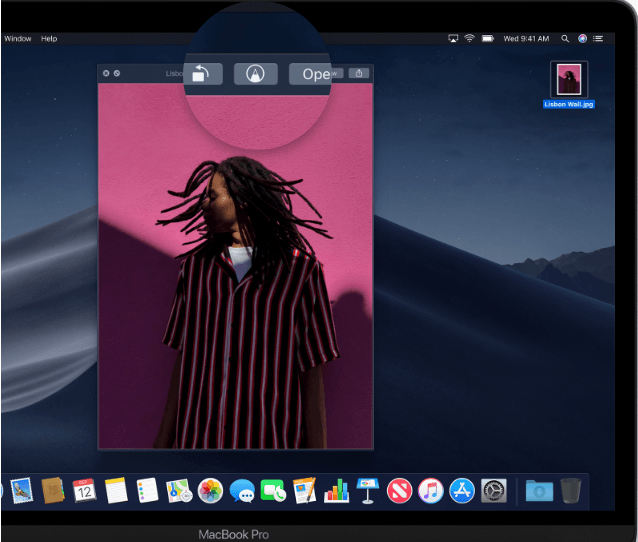 macOS 10.14.1 will allow FaceTime video calls for groups of up to 32 people, which is a welcome development for businesses that uses FaceTime for team meetings or people with large families. 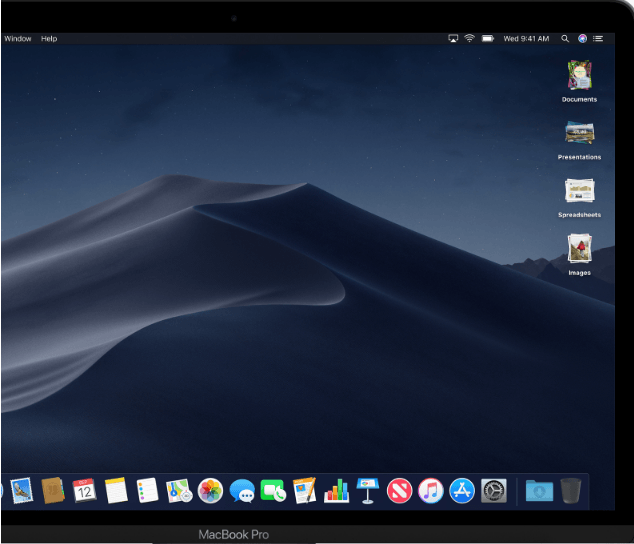 macOS Mojave 10.14.1 is likely to address quite a lot of issues the previous version has recorded since it was released to the public in September 24, 2018. Although, there’s no official release date for the updated operating system, but a report has it that Apple will be holding an event October 30 where it is believed the latest Macs and MacBooks will be launched and it also provides the perfect opportunity to release the macOS 10.14.1 Mojave update. For Macs and MacBooks lovers who are willing to try out the macOS 10.14.1 Beta 5, you can sign up for the public beta from Apple’s Beta Software Program website. But before you that, do take your time to see some cool features of macOS 10.14.1 Beta 5. Group FaceTime supports video and audio calls between up to 32 contacts. This feature was firstly announced in June at WWDC but removed from iOS 12 beta and macOS Mojave beta before their release in September. Apple has stated that Group Facetime should be ready before the year runs out, however, it will be included in this new update and iPhone’s iOS 12.1 beta version. Dark Mode brings a dramatic look to your desktop and built-in apps, making it easy to focus on what matters most: your content. To switch between the light and dark appearance, open System Preferences and click General. Use Stacks to automatically sort the files on your desktop. In the Finder menu bar, choose View > Use Stacks. To see what’s in a stack, and then click it. With the new Gallery View, you can scrub through large previews to visually identify the file you’re looking for. And the preview pane shows complete metadata, so you can confirm details such as the camera model and exposure used to take a photo. You can click thumbnails along the bottom of the window to quickly preview a file without opening it. 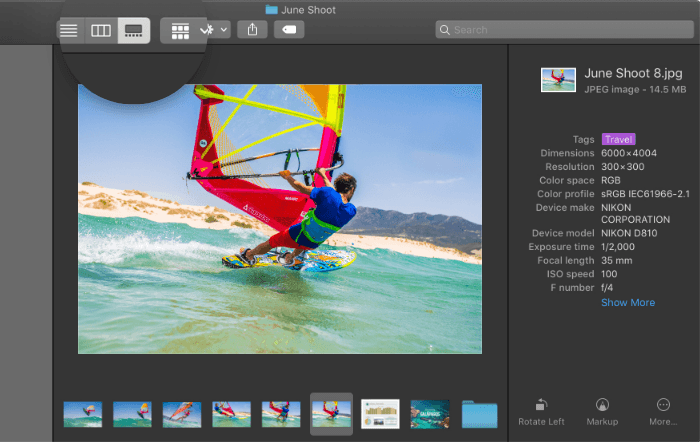 In addition to previewing files with Quick Look, you can now make many kinds of edits — like cropping photos, signing PDF forms, and trimming video clips. The powerful new Screenshot utility makes it easier to capture screenshots or recordings. To do this, Press Shift + Command + 5, then click an option, like Selection button to capture a still selection or Whole screen button to record your whole screen. The screenshot tools appear in a small palette, which you can drag to reposition. 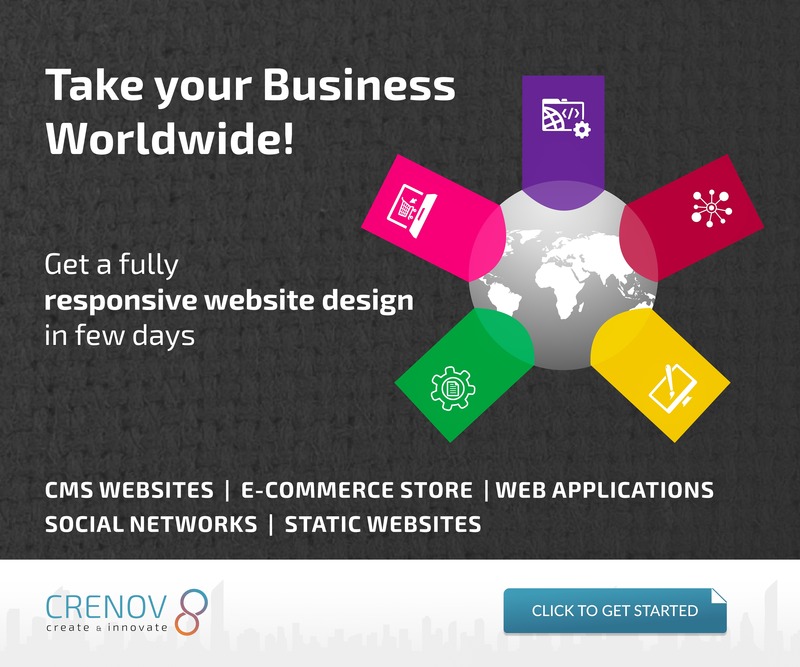 The palette includes options for where to save the screenshot, whether to show the pointer and more. Scan a document or take a picture of something nearby with your iPhone camera, and it instantly appears on your Mac. 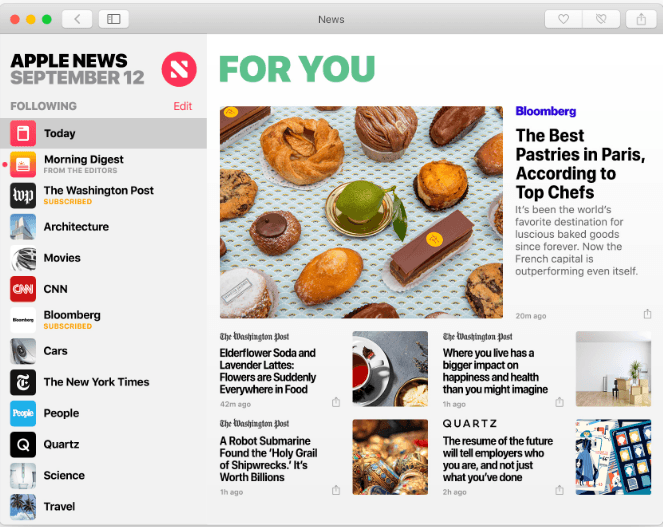 Apple News is a one-stop destination for trusted news and information, curated by editors and personalized for you. Use the sidebar to discover topics and channels or jump straight to your favourites. 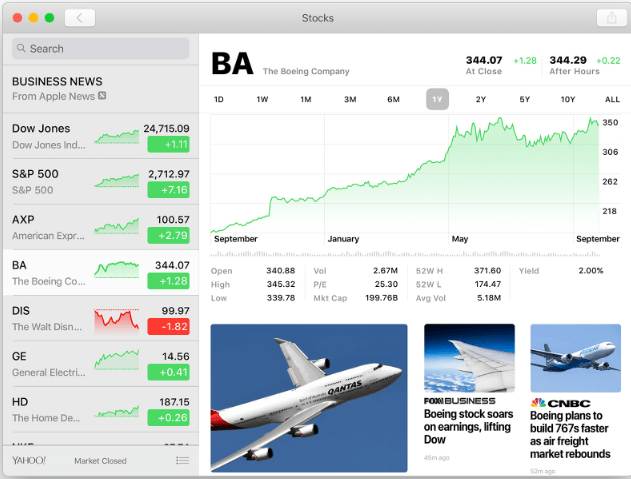 The new Stocks app makes it easy to follow your stocks and the market. View prices in the customizable watchlist and click a ticker symbol to see an interactive chart. Stocks also includes the latest business news from top publications around the world. 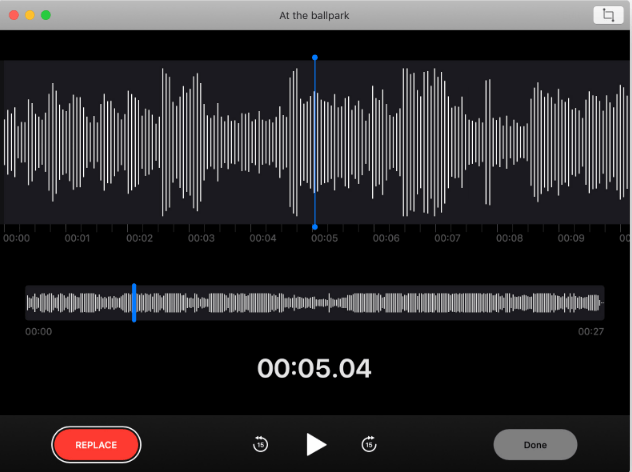 Voice Memos makes it easier than ever to capture personal reminders, class lectures, interviews, and song ideas. Click the recording button to start recording. To trim the recording or replace part of it, click Edit. 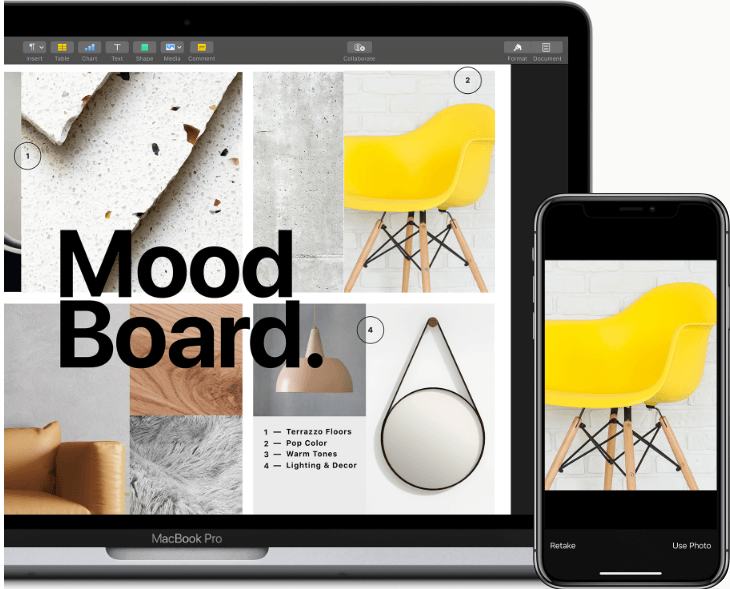 iCloud keeps your recordings and edits up to date across your devices, so you can record with your iPhone or iPad and then use Voice Memos on your Mac to do even more. Keep an eye on everything in one easy-to-use window. 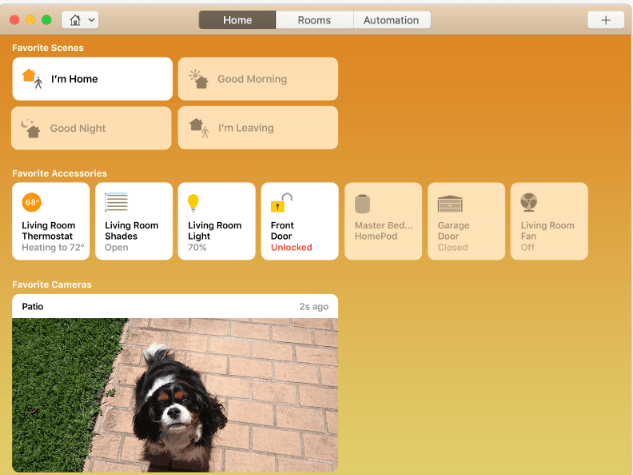 To receive notifications — that someone is at your front door, for example — Control-click the accessory, click Settings, then click Status and Notifications. You can view all your cameras and accessories at the same time. 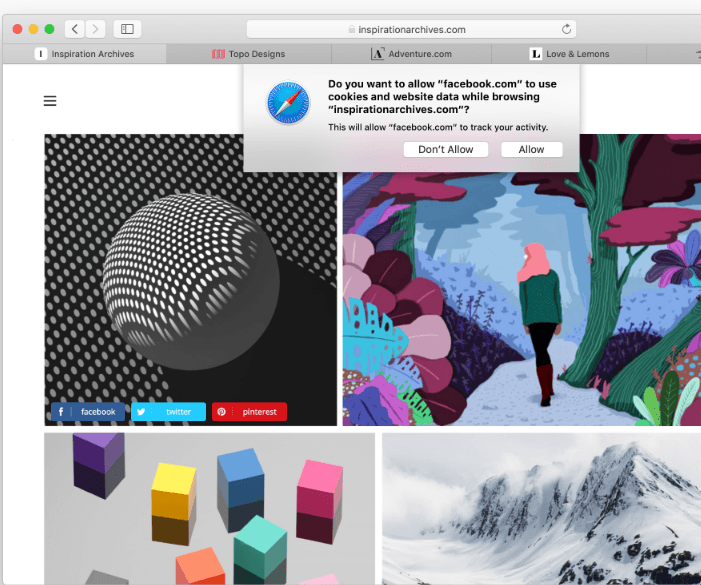 When you browse the web, advertisers can try to use the unique settings of your Mac to create a “fingerprint” to track you. Safari now makes that targeting more difficult. 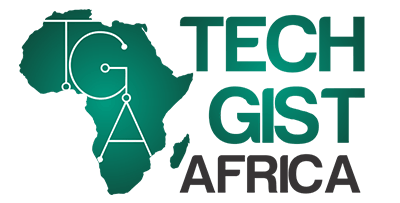 An improved Intelligent Tracking Prevention stops social media sites from tracking you on other sites without your permission. 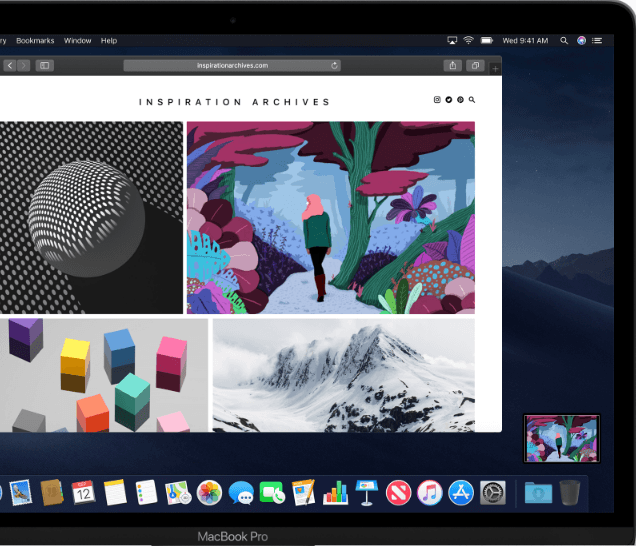 Now that you have a little background about macOS 10.14.1 Beta 5, you can now go ahead to download and experience the latest MacOS.